He's from Louisiana and she's from Texas...what better way to incorporate their hometowns than a fleur-de-lis and star symbol? 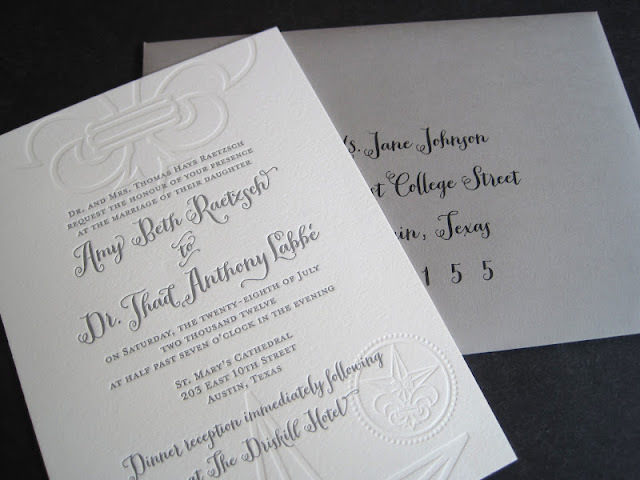 The bride, Amy, designed the monogram, and as soon as I saw it, I couldn't wait to get started designing the rest of her invitation set. 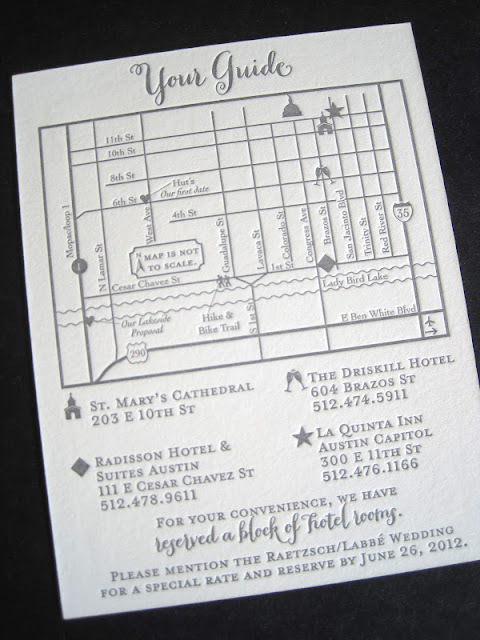 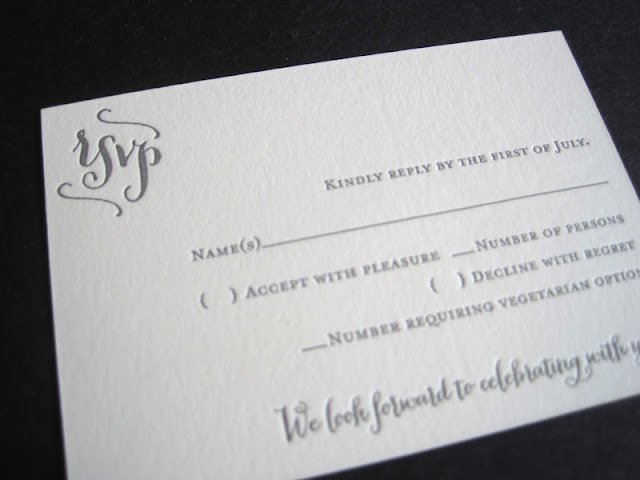 The invitation, reception/map card and response postcard were letterpress printed in gray on 220lb double thick Lettra cardstock. 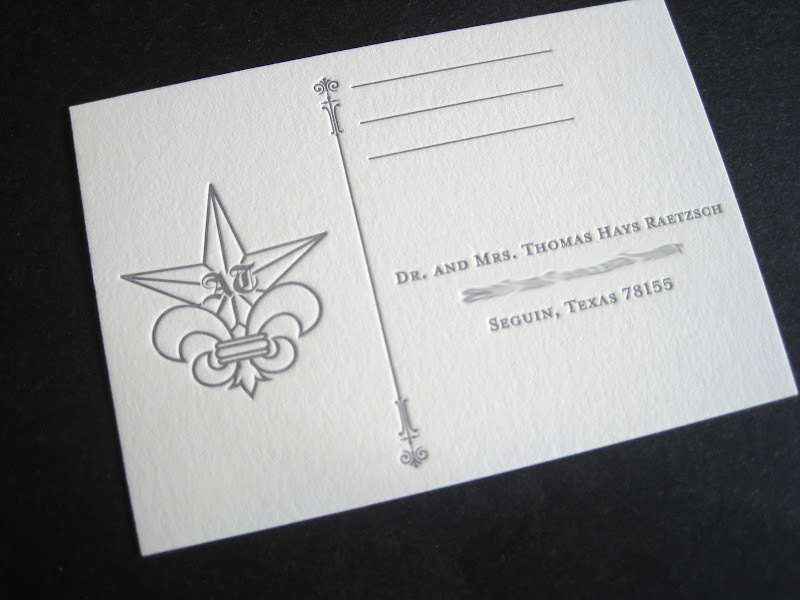 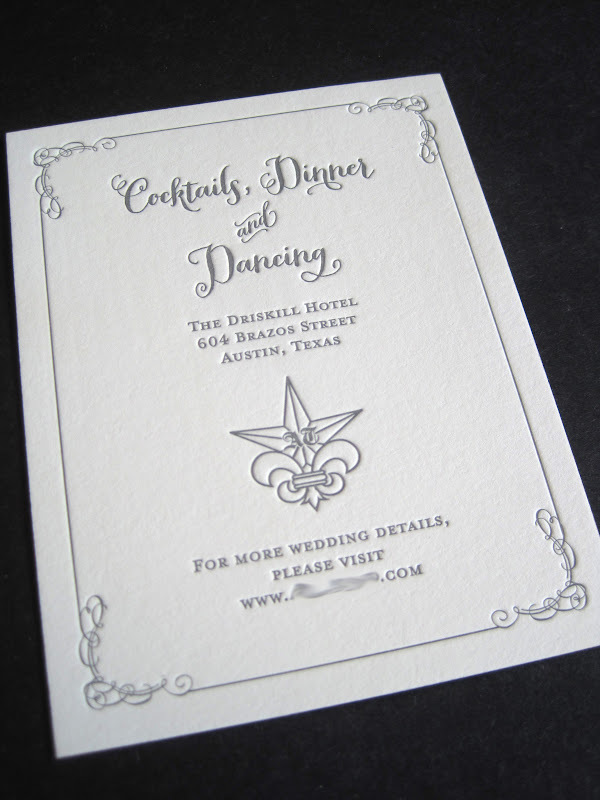 The fleur-de-lis and Texas star were blind debossed on the invitation. 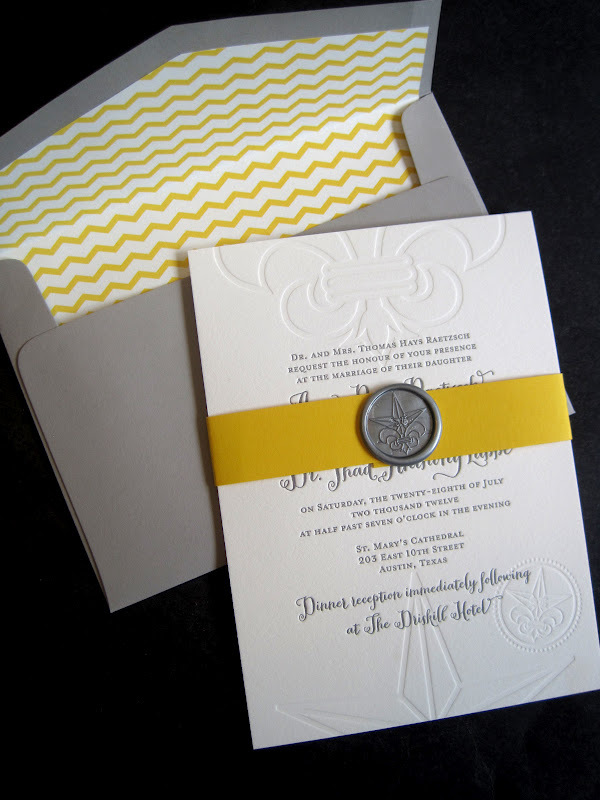 To add a modern flair to the set, I designed a yellow chevron envelope liner. 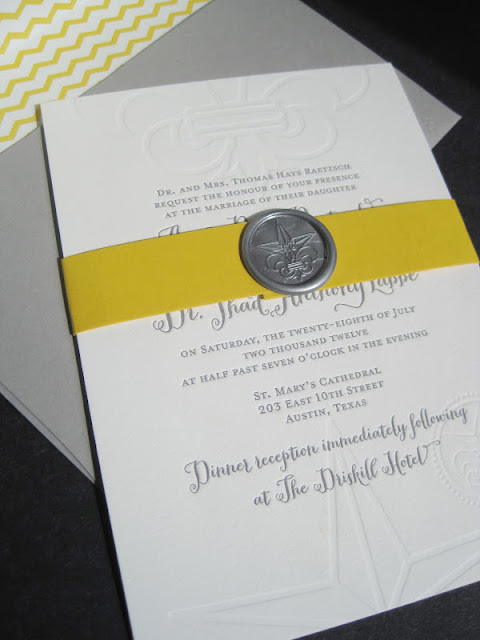 To tie the yellow in, we wrapped the invitation with a yellow belly band and faux wax seal (imprinted with their monogram); the belly band neatly tucked the reception and response postcard in the back. 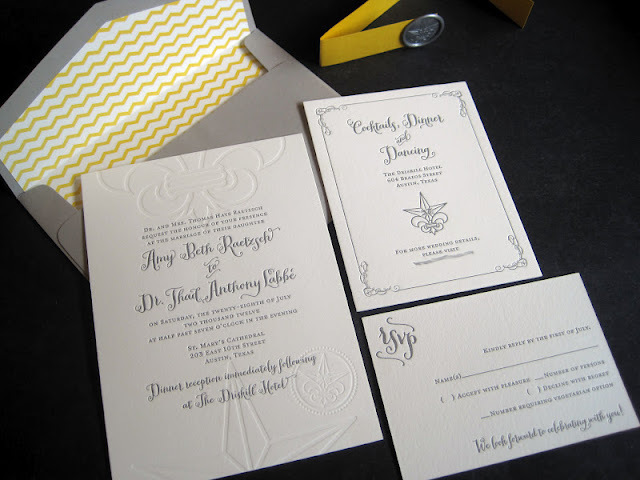 Features: Letterpress printing, blind debossing, 220lb Crane's Lettra cover stock in Fluorescent White, computer printed calligraphy (of guest addresses) on face of envelope, custom envelope liner, custom drawn map and faux wax monogram seal.